Amber and I have been going to the slc modern quilt guild for about 6 months. 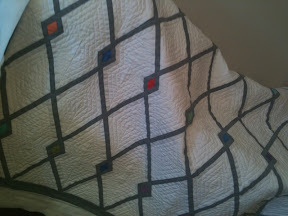 This month we will all show a quilt/project that started with the same pack of solid fabrics. Mine is nearly done! I'm excited to see all the different projects!